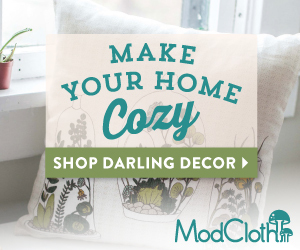 No Etsy shop of the week today. I was out of town for the first part of last week and forgot to set one up. Instead, a slightly picture-heavy post of the trip my son and I took to Tow, Texas. Rhymes with "cow" for inquiring minds. My grandfather owned a ranch in the sleepy little town. Now, it belongs to my uncle, so we decided to head down for a visit. I haven't been in probably 14 years, and my son has never been. hog barn, and one of the many old hog feeders. When my grandfather owned the ranch, it was actually a working ranch. He moved his family from Iowa in the 50s to Georgetown, Texas and had a large farm with chickens, hogs, corn, and more. When the government decided they wanted to build Interstate 35, they needed a large part of his land, and gave him a take it or take it offer. With the money from the land, he purchased the ranch, and moved the hog farm out there. a few of the cows we encountered, and a gorgeous buck. Now the ranch is going back to its wild state. 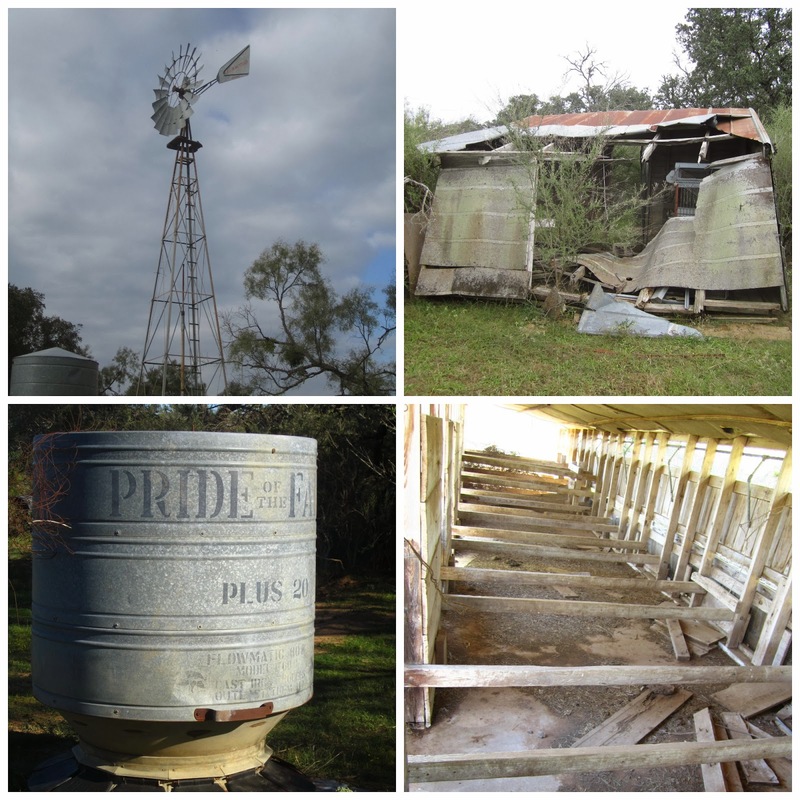 The old hog buildings are falling down, and the only animals on the ranch are either deer or a neighbor's cows being allowed to run the land. still inside the borders of the house. My grandfather purchased the ranch from an older lady whose grandparents had been the original settlers on the land. 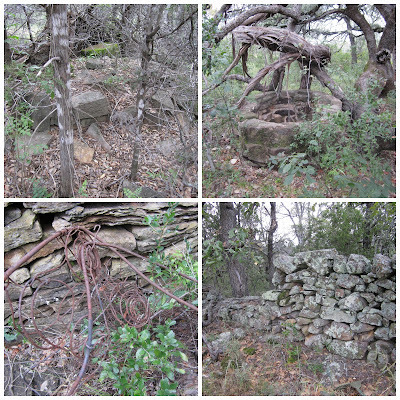 When she was a baby living in the old stone house shown above, Comanches attacked them. 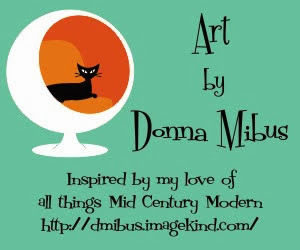 My father remembers visiting with her and seeing the tomahawk head that was stuck in their door. I love history like that, especially when I'm able to actually walk and explore in the areas where it happened. We found a lot of flint chipped off from when the Comanches made their arrowheads, square nails, old bullet casings, and even a flint scraper that they used to clean the hides of the animals they killed. When my dad was a kid, he found hundreds of arrowheads, and even an old tomahawk head. and a grave from one of the town's founding family members. 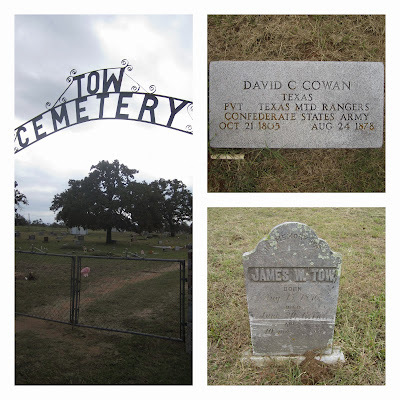 The old Tow Cemetery was originally on my grandfather's land. When my uncle took possession, he deeded the cemetery to the city, but we still visited. I took so many pictures of old gravestones; not sure why, but I found them fascinating. 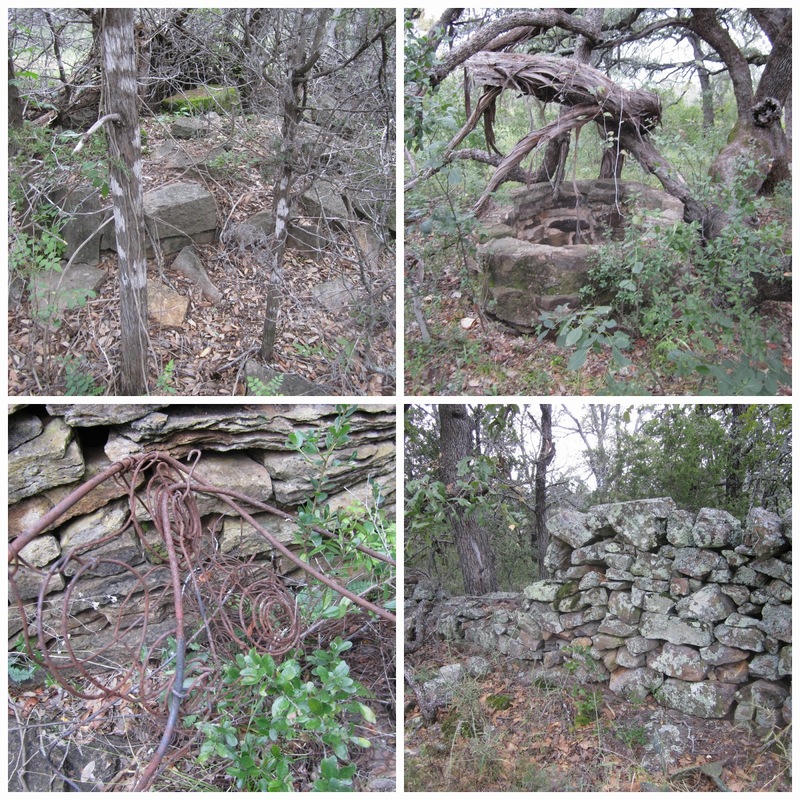 The oldest was from the late 1700s, which is pretty old for Texas. It was also interesting to see the graves from confederate soldiers and Texas rangers. And then my son found a tarantula hole and even saw the creepy spider. Probably the highlight of that little boy's trip! One cool thing on the ranch is the old abandoned trailer. 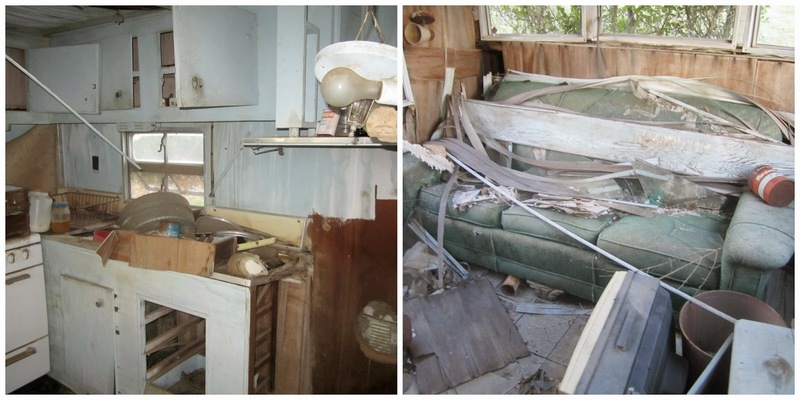 My grandfather's hired man lived in it, and when he died, everything was just left as is. Over the years, animals and insects have taken over, but it's still fascinating to me to explore inside (as long as I don't fall through the rotting floor...). Not much left to take, but I did find a couple of birding books and a cute retro bandaid tin that came home with me. The trailer is so cool in a creepy sort of way! The inside of an abandoned dance tavern. 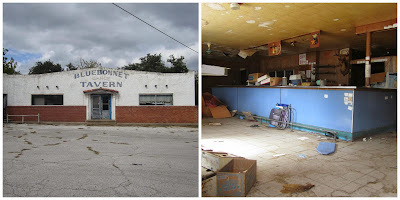 All over Tow and the surrounding little towns are numerous abandoned buildings. I have a thing for anything abandoned, and always want to go inside. Most places were completely boarded up, but when I stopped to take pictures of this tavern, the glass in the door had been busted out, and the door pried slightly open. So naturally, I squeezed inside. Everything was still there! I think they just closed their doors years ago without removing anything. Dusty decorations, an old cash register, deer heads on the wall. The cafe side next to the dancing part even had all the tables, menus, and a wonderfully retro couch inside. Sadly, I think it would have been stealing to remove anything, so I just took a bunch of pictures instead. And if it's not stealing, somebody tell me so I can grab some things next time! 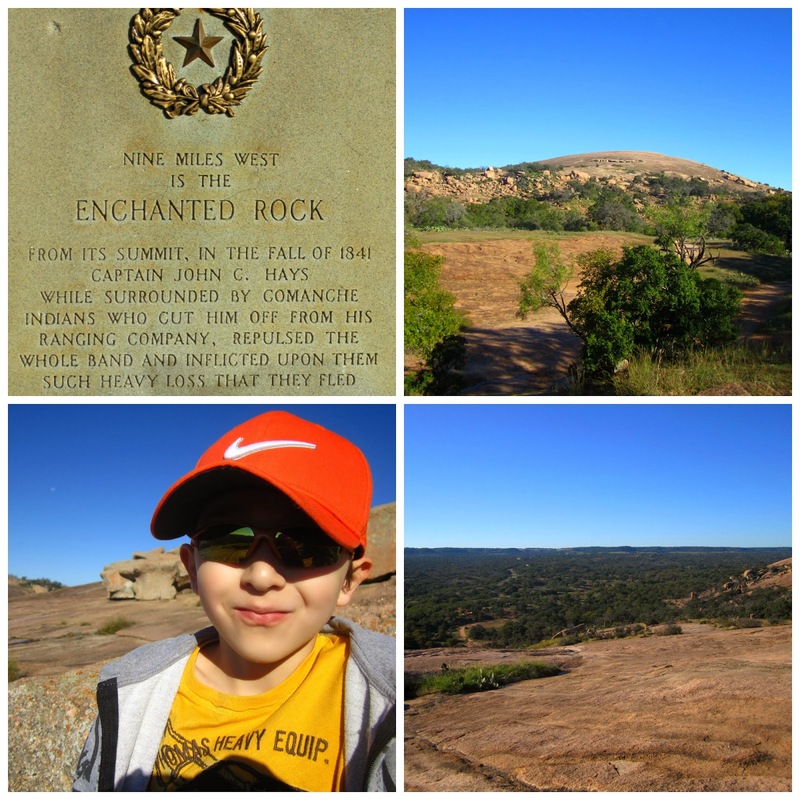 When in Hill Country, one has to stop and climb Enchanted Rock. Basically, it's a huge chunk of granite, but it's beautiful, especially when near the top. My son and I didn't make it to the top though. He tired out when we were really close, but I didn't want him exhausted for the somewhat steep descent. 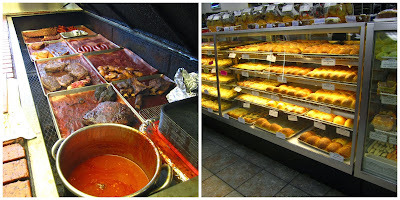 Left: the pit at Cooper's Bar-be-que, Right: Kolaches in West. No trip to that area is complete without sampling the local fair. And when in Llano, it's practically a law to eat at Cooper's. 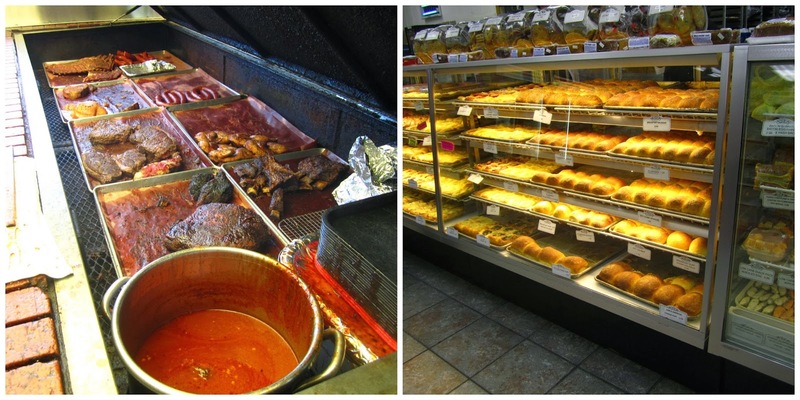 A huge pit full of slow-cooked meat, delicious sauce, and amazing sides and desserts. 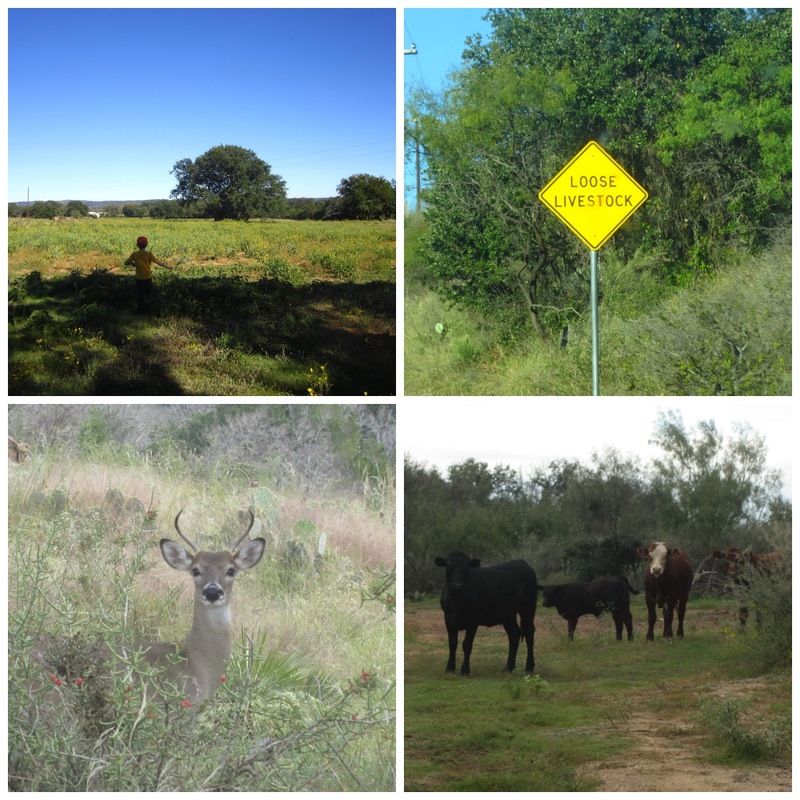 It's a Llano tradition, and definitely worth the trip! On the way home, we stopped in West to pick up Kolaches at the Czech Stop. Another delicious tradition. So incredibly good! It was a wonderful trip. It's a beautiful and peaceful area down there, and we didn't want to leave. There's something amazing about being miles away from anyone else and the only sounds you hears are crickets chirping and cows lowing. Hopefully, we'll be able to make that trip more often. I came home with some great finds too! I cut off a couple pieces of that really old bedsprings shown above, and also brought back some rusty hinges and a few pieces of wood. The wood was from the hog barn, which was originally the large chicken barn my grandfather built in Georgetown. He tore the chicken coops down, and used the wood to build the hog barns, so I wanted to bring a piece of that home with me. Now I just need to decide what to do with it! And now that I'm back in town, I'll be trying to get back into my regular posting schedule! 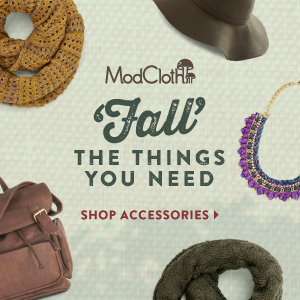 Except a great thrifting haul and a yummy cookie recipe later this week!